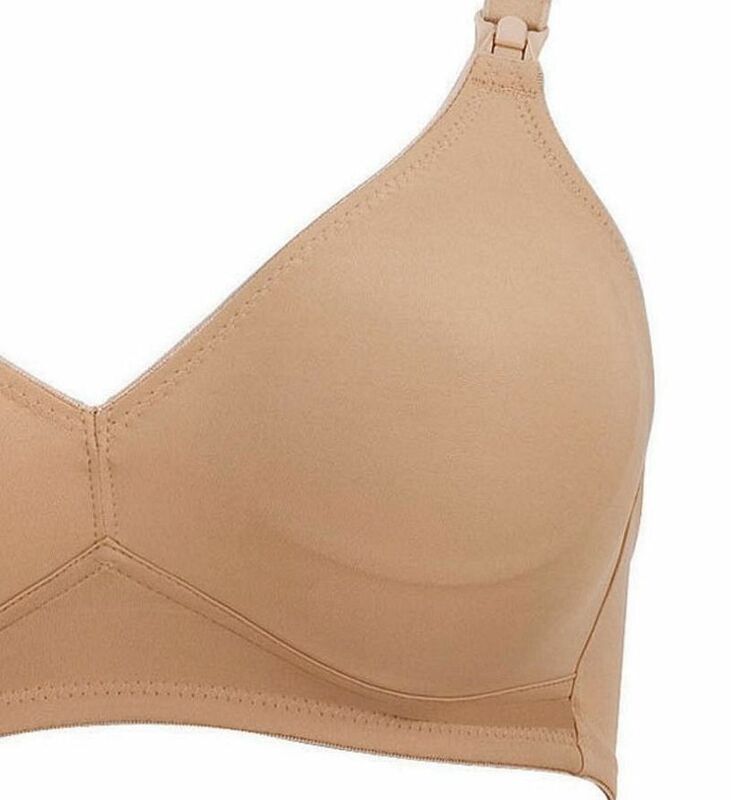 If you are suffering from sensitive breasts after you have given birth, you will be looking for a bra that will not irritate your already sensitive skin. How about the skin colour Anita 5075? It offers great support without underwires or uncomfortable seams. How comfortable is this bra? Well, the moulded cups are seamless, to avoid irritation. The strap around the back is slightly stretchy, and the three position fastening, for an adjustable fit, adds extra flexibility. The straps, made of fleeced stretch microfibre like the edging, are adjustable too, so this bra can alter to fit your changing needs. This bra is very practical, with the moulded cups offering both support and a flattering, smooth silhouette. This makes the Anita 5075 a brilliant T-Shirt bra. The nursing cups can be opened with one hand, thanks to Anita’s Kwik Klip system. We all know how essential it is to be able to feed your baby quickly! 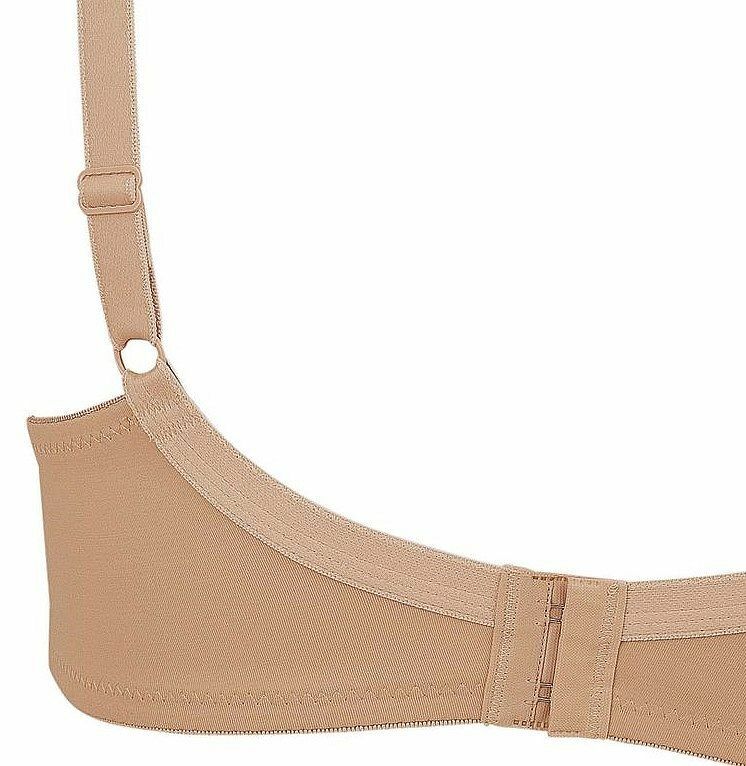 So why do we like this Anita 5075 skin colour bra? If you are looking for a smooth silhouette with the comfort of soft cups, this bra is well worth consideration. It is also our lowest price Anita nursing bra!